Actress Moon Geun Young couldn’t conceal her respect and admire for Ha Ji Won. Moon Geun Young wrote the article after the end of episode 1 of MBC’s The King Two Hearts starring Ha Ji Won and Lee Seung Gi, where Ha Ji Won is praised for her excellent martial arts and acting skills. The word “discharged” used by moon Geun Young is presumed to be “graduated.” On Spring of 2012, Moon Geun Young returned to her Language and Literature major at Sungkyunkwan University, and she will graduate in coming Fall. 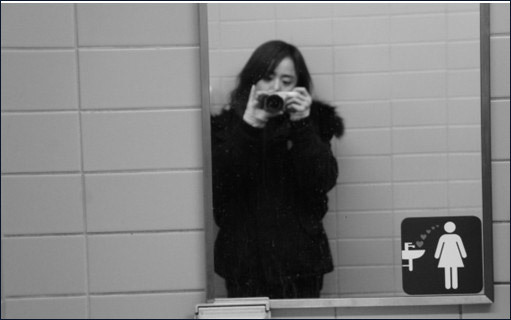 On the other hand, a selca that was took at a bathroom was also announced to fans. The article has since been deleted. Netizens said, “What would think it would be if Moon Geun Young plays the role of Ha Ji Won?” “Let’s talk about it after returning,” “Come back quickly to produce good work” and so on.